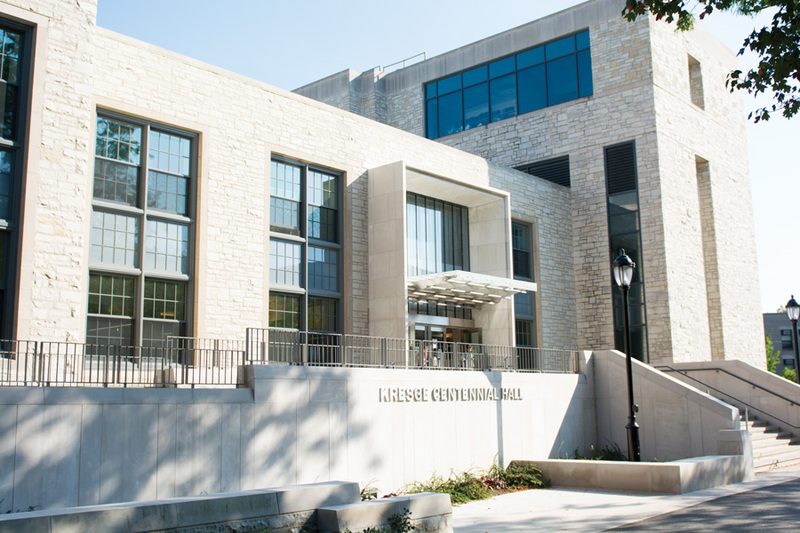 Northwestern’s Center for Native American and Indigenous Research has an administrative space in Kresge Hall. The center was created after Northwestern received a $1.5 million grant from the Andrew W. Mellon Foundation. Medill Prof. Patty Loew will serve as the inaugural director of Northwestern’s new Center for Native American and Indigenous Research. Loew, who began the position this month, said the center will build relationships with Native communities, provide resources for research and educate the general public about Native American history and cultures. Provost Jonathan Holloway and Patricia Telles-Irvin, vice president for student affairs, announced the center’s launch in an email Tuesday. The center, part of the Weinberg College of Arts and Sciences, will serve as “the University’s primary institutional space dedicated to advancing scholarship, teaching, learning and artistic or cultural practices related to Native American and Indigenous communities,” according to the email. For much of American history, Native people have been largely “invisible,” Loew told The Daily. Loew, who is a member of the Bad River Band of Lake Superior Ojibwe, said she hopes the center will make Native communities more than just an “afterthought” in academics. The establishment of the center is largely in response to student activists such as members of the Native American and Indigenous Student Alliance, history Prof. Doug Kiel said. Kiel, a citizen of the Oneida Nation and one of the center’s affiliated faculty members, said Northwestern is working to acknowledge University founder John Evans’ role in the Sand Creek Massacre after activists pushed for more recognition of Native history on campus. In November 2014, a report by the Native American Outreach and Inclusion Task Force recommended NU create a research center to focus on “producing interdisciplinary research to serve the needs of Indigenous populations, both locally and globally,” according to the document. The University announced it would create the center in December 2016 after receiving a $1.5 million grant from the Andrew W. Mellon Foundation. This fall, the center will host “substantial” programming about Native American and indigenous studies, including events, guest lectures and an artist-in-residence program, Kiel said. The center will also offer fellowships for students and faculty who want to lead research projects on Native topics, Kiel said. The center currently occupies an administrative space in Kresge Hall and mainly exists “virtually,” Loew said. However, with all the construction happening at Northwestern, psychology Prof. Doug Medin — one of the center’s affiliated faculty members — said he hopes there will be a “concrete, physical space” to house the center and provide places for Native undergraduates and graduates to meet. The center will prioritize the concerns of Native communities, Loew said. Before conducting research or designing outreach projects, she said researchers will consult with Native communities to seek partnerships and ask for input. Native American studies is a field that has lacked support at many universities in the past, Kiel said, but is now “coming into its own” as more institutions establish related programs. The center is a “remarkable” commitment by the University, and takes a unique approach that could serve as a future model for other institutions, Loew said. However, it is also just one part of a larger movement of universities embracing Native American and indigenous studies, she said. “There’s a realization on the part of a lot of academics that the world is increasingly pluralistic, and that it’s to everybody’s benefit to understand diverse cultures,” Loew said.